Imagine a world where computer mice had not yet been invented. Everyone would use their keyboard to move around the screen, run programs, access information, and, of course enter data. Would you feel lost? If so, read on. This is for you. A computer mouse is a marvelous tool. While it has only been around computers in any significant way for the last 15 years or so, it help shift us from typing at a command prompt to using a graphical interface like Microsoft Windows or the Apple Macintosh OS. It shaped how we use the Internet. 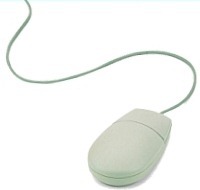 Clicking links on a web page is a function designed specifically for a mouse to perform. It’s not surprising that a world without such a device would be hard to fathom. However, if you cannot see or do not have the fine motor skills to move a mouse accurately, that world is your reality. The mouse’s essential functions depend on knowing where its pointer is on the screen and positioning it successfully to perform the task you need done. Given the way most of us have learned how to use a computer, using it without a mouse sounds like a very difficult task. However, people who are blind or less mobile often use a computer more efficiently than sighted people. They use key combinations to move around, start programs, and get things done. We often lose time and sometimes patience trying to find right things on the screen or moving between the mouse and keyboard. If you lose your mouse pointer frequently, have difficulty clicking on the right thing, or are just weary of switching between the mouse actions and keyboard typing, there are great lessons to learn from those who don’t use the mouse at all. If you are using a Apple Macintosh, there are also dedicated keys there. Most Modifier keys for the Mac are labeled differently from those used in Windows PCs. See the links at the end of this article for more details. Getting Started with Keyboard Shortcuts. For more Information, there is a great article in PDF format by Eduardo De Leon from New York University. It covers keyboard use for both Windows and the Macintosh. If you cannot view PDF files, you can download Adobe Acrobat Reader to see the article.